Not even victory in the 4th Galactic War has earned the Helldivers a rest. The first and only bulwark against the armies who would do Super Earth, and democracy, harm, have refortified their forces and are ready for Round Five. 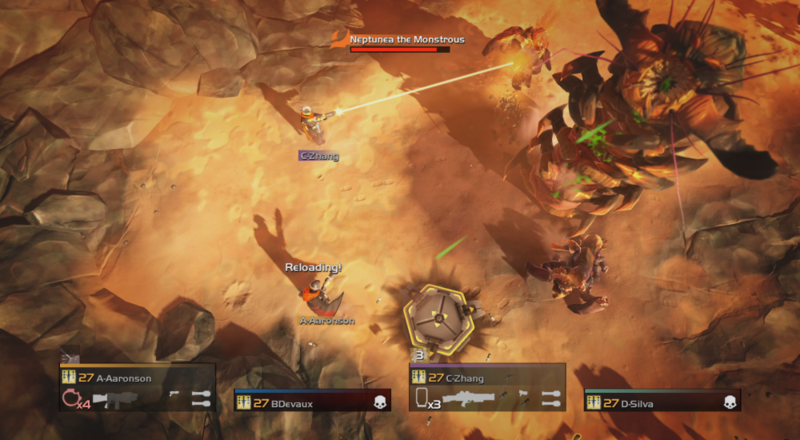 Entitled "Masters of the Galaxy," the second DLC for Helldivers adds a few new twists in the embittered struggle for the defenders of Super Earth. And it's entirely free! You don't have to drop a dime. You may have had trouble with swarms of Bugs, legions of Cyborgs, or an entire cabal of the Illuminate, but they've been working on a few new additions to their team. Check out what nasty surprises the enemies of Super Earth are up against. You might have thought Assassination missions were tough before with some souped up unique mob trying to bring eleven thousand of his best, angriest friends to murder you, but wait until you take on a Siege Mech with exactly the same kind of influence. And the Illuminate "Grey Eye"
All of these Master Units tear open Helldivers like they might be full of candy, so you'll need to focus every ounce of your skill and firepower if you are to take them on. If you've already Platinum'd the game and wonder what lies ahead, fear not! New trophies are added too, making this the perfect excuse to tear back into some Helldivers. Maybe we can add a 5th Galactic War Trophy on the shelf and really make the bad guys mad. Page created in 0.3109 seconds.